I conducted a test that is pretty interesting. As many might know, the more objects on a form, the slower your searches down the Automation tree. It was measured that search on a form containing an Infragistics grid with 250 rows and 6 columns (i.e., 1500 cells) may take up to fifteen minutes. It depends on many conditions, for example, if a host is relatively ‘fresh’, it takes 383 seconds, i.e. just more than six minutes. 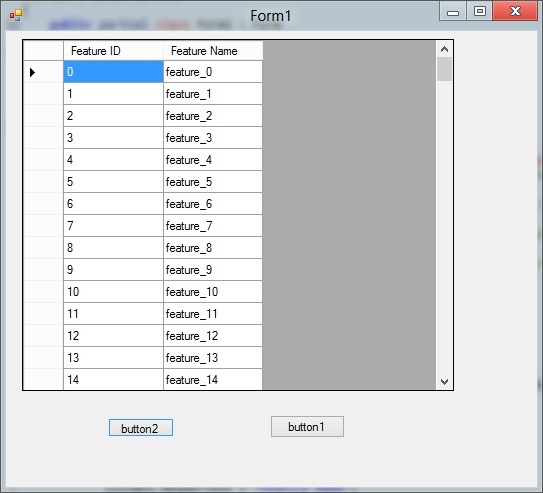 The ‘button1’ button creates two columns, the ‘button2’ button adds ten rows per click. The script initializes the form by pressing the ‘button1’ button and performs twenty cycles. Each cycle, the script increases the number of rows in the grid and measures the search time. 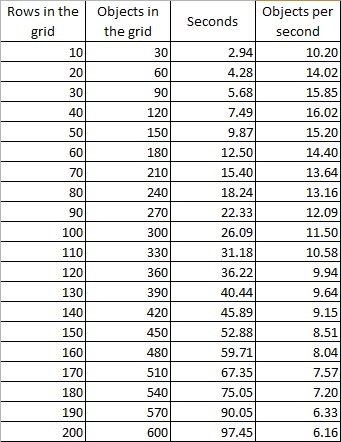 In other words, our test measures the speed of search below the grid for the increasing number of rows with the increment equaling to 10. 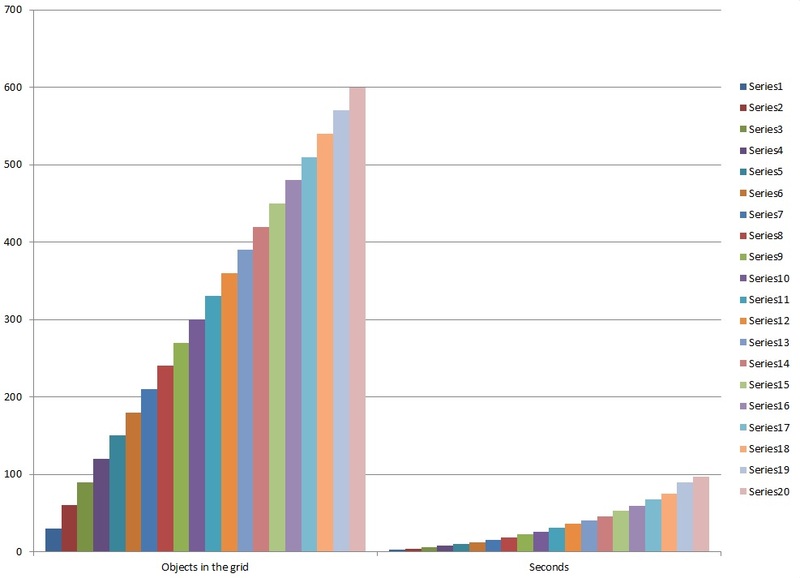 Surprisingly, even though time the search took is increasing with the increase of the rows number, the objects per second time gradually decreases. 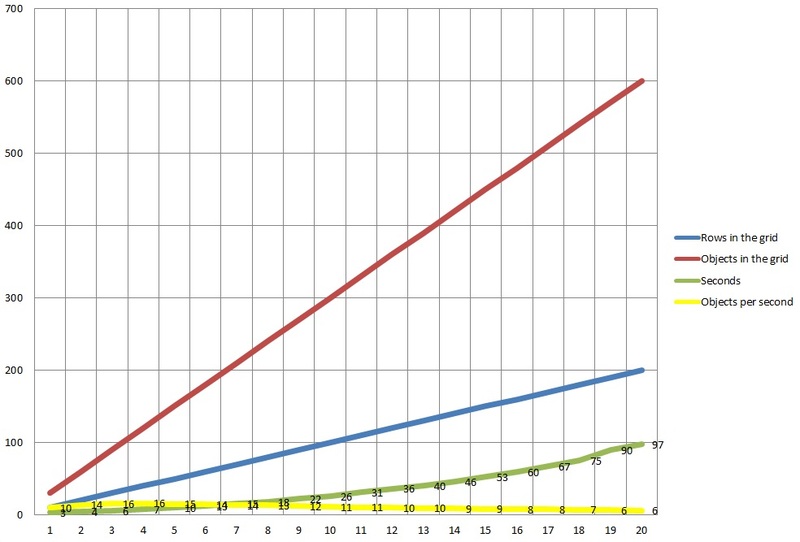 somewhere after 150 objects, time of the test begins increasing faster and faster. The latter fact will be the reason for other tests in the near future (I’ll be informing the community about results). The amount of memory is not so shocking if we compare it with the amount SharpDevelop consumes. One instance of SharpDevelop is the instance which the test app has been run from. 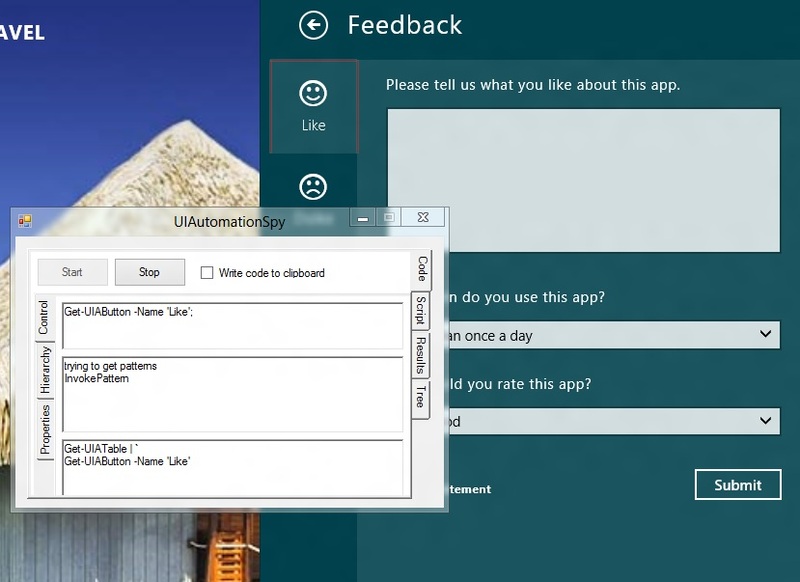 The second instance did no more than was open with the UIAutomation solution loaded. 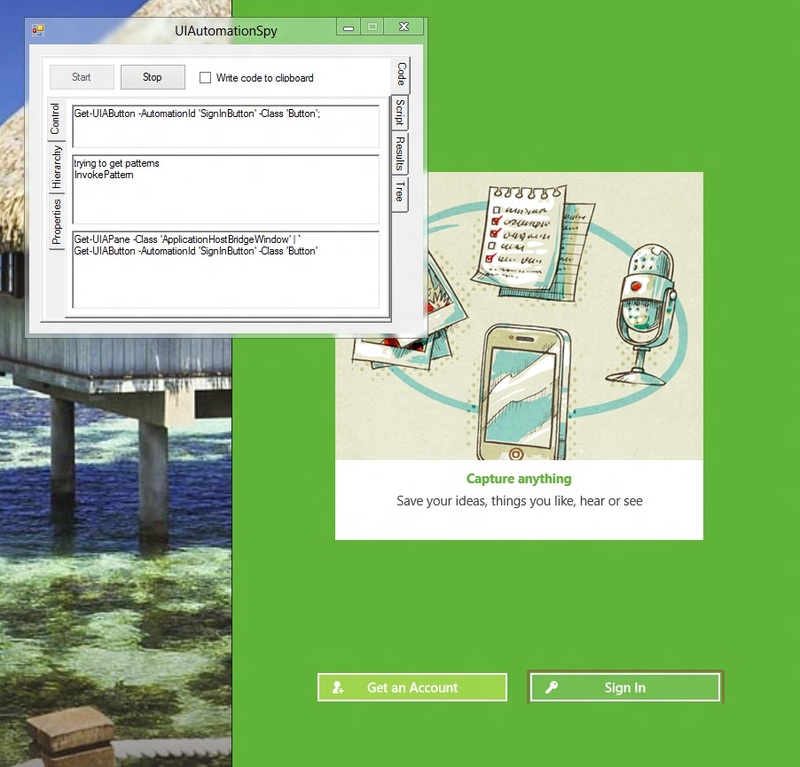 The test app, the script and the results are in the Box at the right. 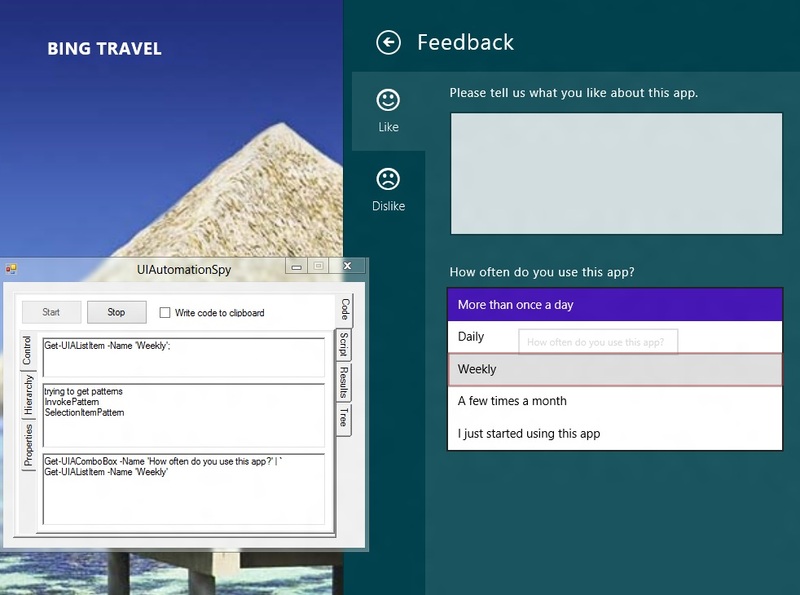 Daily automaiton: how to deal with windows? 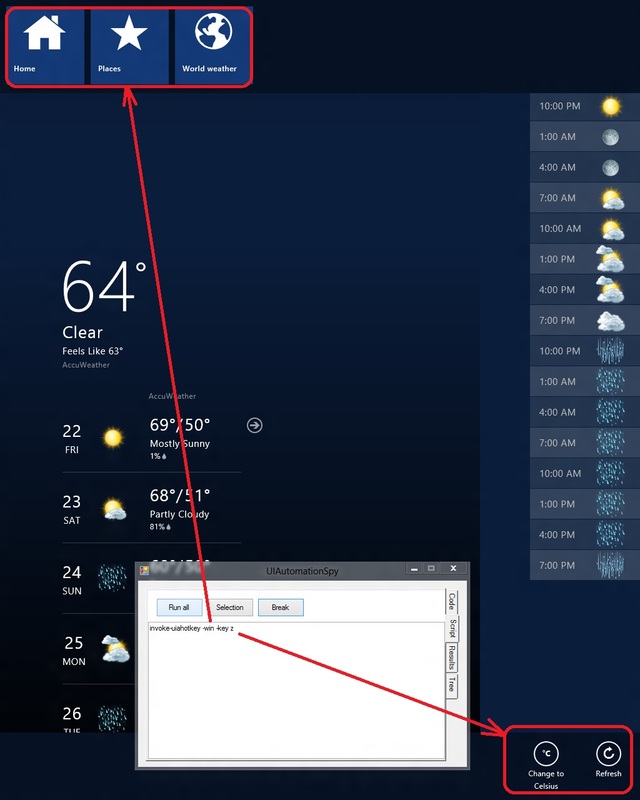 On the project forum, questions about windows have been posted today. I think, the community is interesting in he answers. Please, give some examples how to wait for new window with unpredictable Name value(it can be various error or notify messages)? 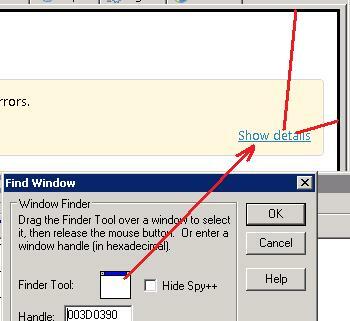 ; how to enumerate all opened windows? I want to remove windows to clean desktop after unsuccessful run of application. 1) how to wait for a new window with random Name? Note that rare windows that are not seen by MS Automation and could be found by using FindWindow, still don’t support wild cards (it will be done relatively soon). I know only one such an example: on a 64-bit OS, a 32-bit MMC snap-in that is not shown in the TaskBar, runs its own window instead of the main MMC window (It’s really rare case). 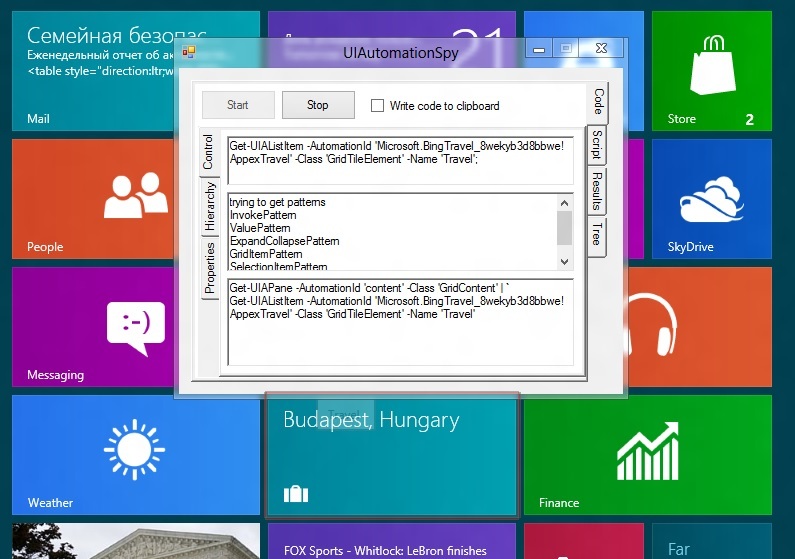 2) Which opened windows do you want to enumerate? As can be seen, the Search-UIAControl cmdlet is more specific (like every good search), whereas Get-UIAControlDescendants returns all that is of type specified. 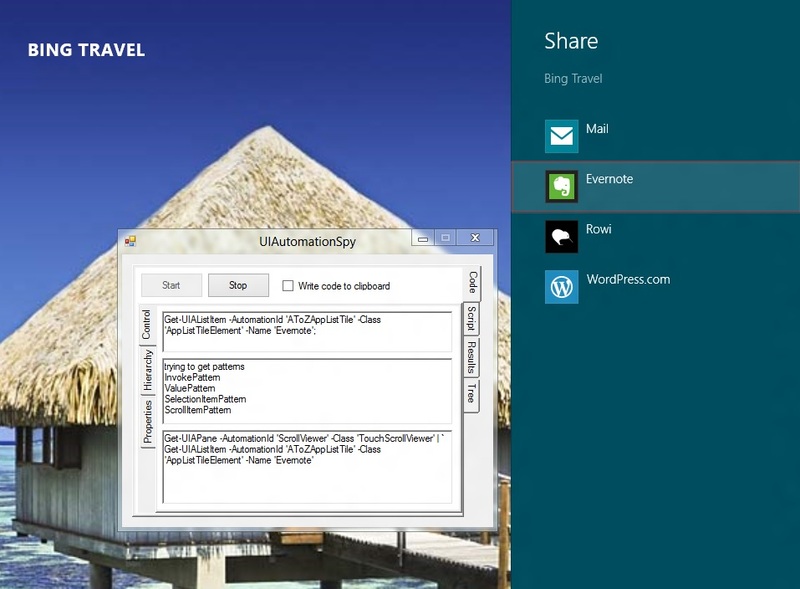 Visit our Metro UI automation page. Today, three hosts (Windows 8 RP x64, Windows 8 RP x86, Windows Server 2012 RC) agreed on that the version 0.7.12 is the version we can start with. What we now can do for testing Metro UI applications? All that is mentioned above can be done with the version 0.7.12 and using existing blog posts. Note: the UIASendKeys utility is deprecated. the Invoke-UIAHotkey is not recommended for use and will be rewritten soon. Download 0.7.12 from here, the samples. 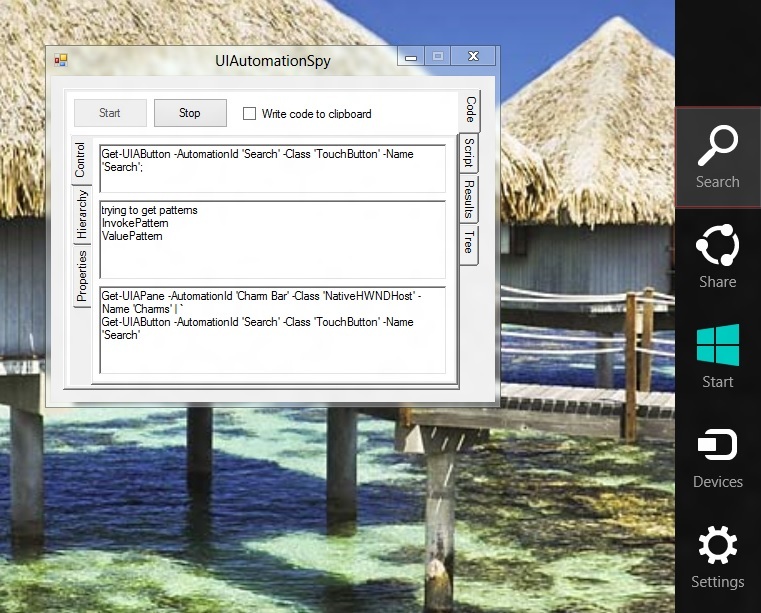 I’ve been struggling with code generation in UIAutomationSpy for a couple of hours. What’s the problem? 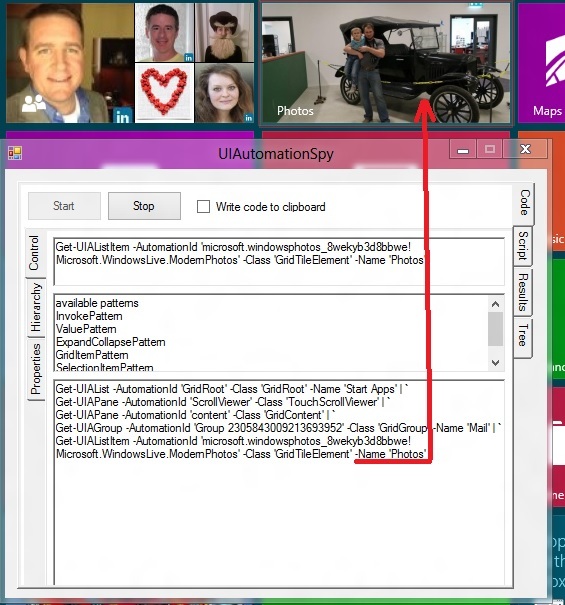 Code that UIAutomationSpy generates for Windows applications is what you can run immediately after recording (okay, some polishing or additions may be needed). At least, from today, when I removed the first line of code (i.e., RootElement) and UIAutomaitonSpy is now so close to the Start-UIARecorder-generated code as it might be. The code is readable (to some extent), though even such code should be prepared to run well. 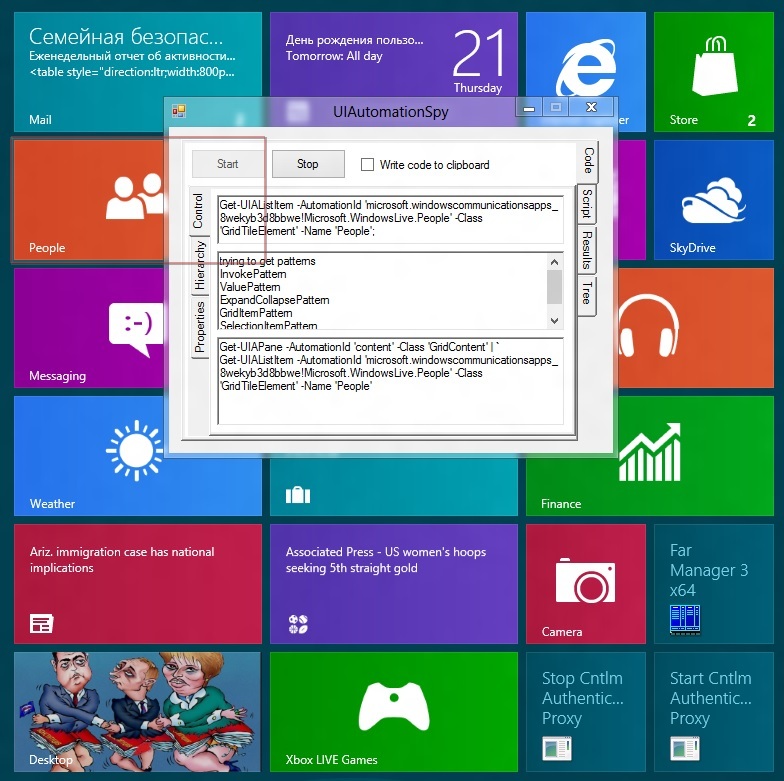 The worst of all, the code for Windows applications can be useful from the top control to the current, whereas the code for Metro UI apps should be filtered, edited and some commands should be added to it. This requires two branches of code generation, doesn’t it? There is a video based on code samples (HD mode is recommended if you want to read the code). 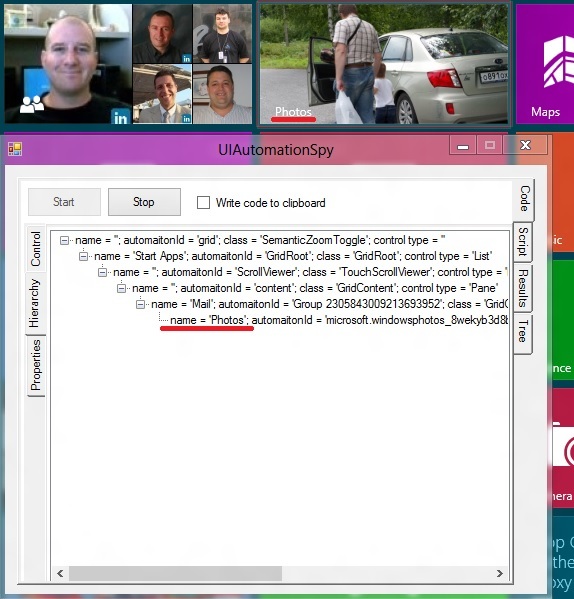 Visit our Metro UI automation page. This post is deprecated. now you can see the full path to a control in terms of the UIAutomation module. you can see the same graphically. Okay, just as a tree. access the charm? Not a problem! P.S. All the faces on tiles belong to their respective owners. Yesterday’s build of a commercial application we are working on was reported as “with a bug”. An annoying dialog appeared here and there after a relatively long time of uninterruptible work of the application’s console. Need to say that reproduction of such bugs (“the console got tired and a dialog appears after an hour or more…”) is not a piece of cake. At least, no one wants to await the dialog in the debugger for an hour or two. Now, the serious part of the product is being tested with PowerShell. 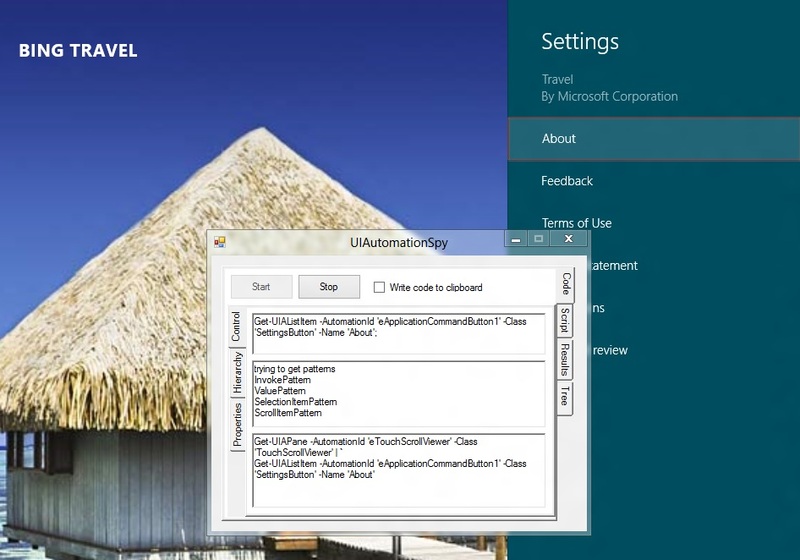 Whereas the system part is being tested with C# (the ‘system team’ prefers writing code what I call ‘writing own bugs’), the UI including simple interactions like selecting users from a domain is done in PowerShell. The majority of the code exploits UIAutomation and TMX modules. As can be seen, the average time of a test case is 8005/(2682-42)=3,03 seconds. The fail/pass rate is 161/2682=6%. The ‘happy’ run has 0,5% fail/pass rate (0.0% fail/pass rate is hardly achievable during the time the product’s UI is being changed). The average time is better than in a normal case and counted as 4623/(2251-35)=2,08 seconds per test case, and there is still room for further improvements. Preferably, that fail-run increments were bound to 20%, not 50%. Anyway, the red peak of 6% of the height of a percent chart seems appropriate. Isn’t it a success of using PowerShell in software testing? I’ve been working on a material for upcoming posts about Metro UI automation and found that it’s often inevident from where a control grows. I mean that any information about the immediate parent and the ancestry at all is a necessity for writing scripts. 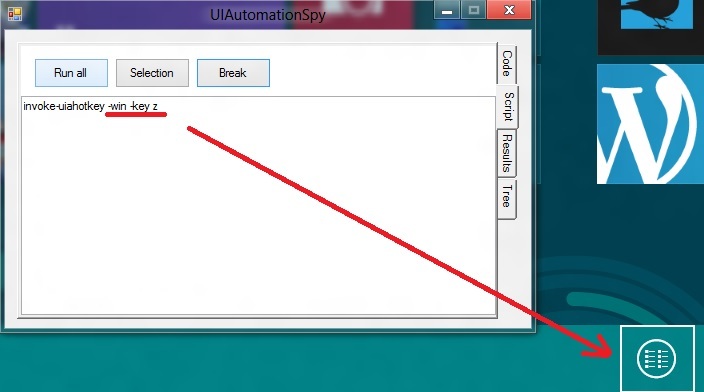 With that said, a new version of UIAutomationSpy (sooner a half-version as it’s not the time to publish such small changes as a version) would be accepted by the public well. Right now there is a version that displays the immediate parent’s code along with the code of a control you are observing. The upper-left tile informs us that I have a report on Family Safety. This is a report for an account I’m not related to in any respect. 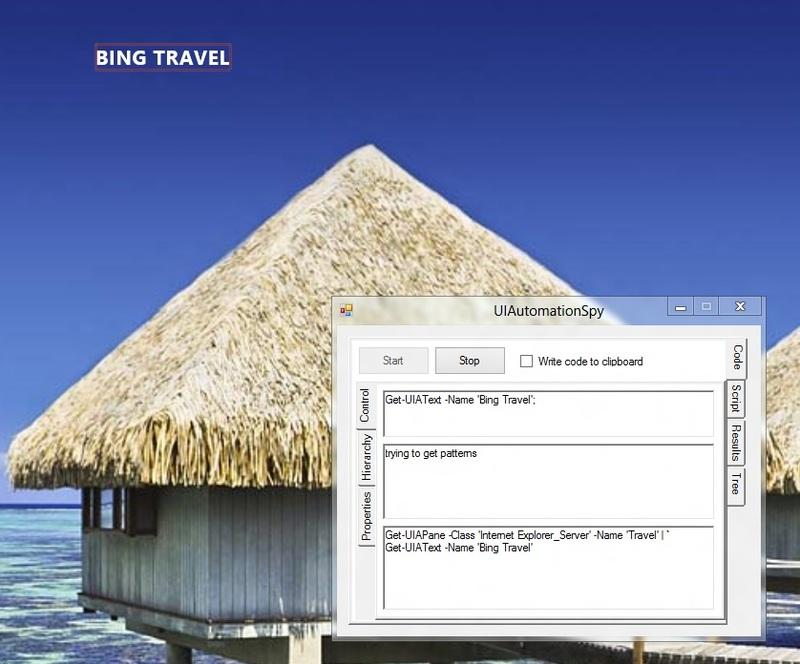 How to spy on somebody you even don’t know with the help from Microsoft, read here. What is the main part of the Travel application made of? Don’t procrastinate the chance to test your Metro UI application, download it now. Sometimes, hit happens. It’s a shame to confess, but rarely even I recommend simple Win32 clicks. Today was the story about such clicks. 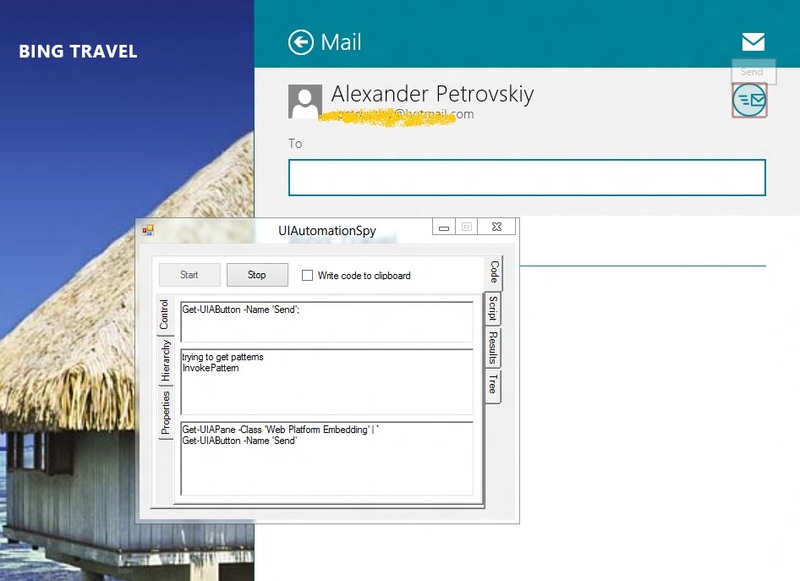 A member of the test team, not a newcomer to UIAutomation and with thousands of test cases in the suite behind, the guy complained that Invoke-UIAControlClick (i.e., PostMessage) did not work! I approached, and it didn’t work! The panic was spreading out among the testers, suggestions like ‘use mouse_event!’ or ‘revise the code!’ was hovering around the room. 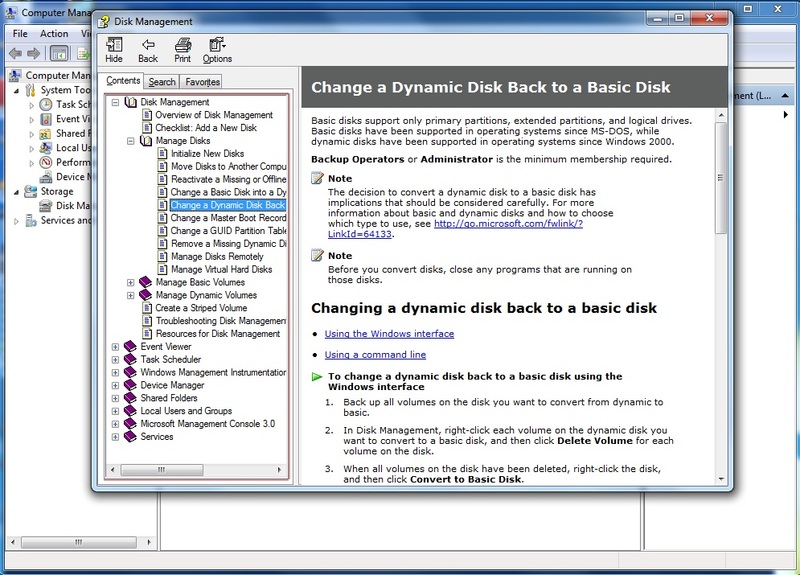 Each control in this pipeline had a handle and there was no point to hit the tab if the link was on the lowest pane. Layers are of almost the same size and put one over one. Even spy++ couldn’t help as nobody knew which layers was pointed to by the spy++ target cursor in order to collect messages. Task: help to find the right level. Requirements: write out the script that hit-tests every layer of controls and prints their handles. The script tries to click on each control and outputs the handle value. The Invoke-UIAControlClick cmdlet couldn’t decide was or wasn’t a click successful and returns $true if no crash were during the script execution. Anyhow, you can use handles to get controls and click by handle in a cycle to find out the control you need. scroll horizontally, so that the middle of some long tree node names are put geometrically in the tree area. Otherwise, it was seen as if click was send not to a node but to a form splitter or even to a right-side page. Task: improve the script that all the clicks, especially done in the lower area of the tree, get working. Requirements: the script should walk through any number of tree nodes, independently of how long their names are. 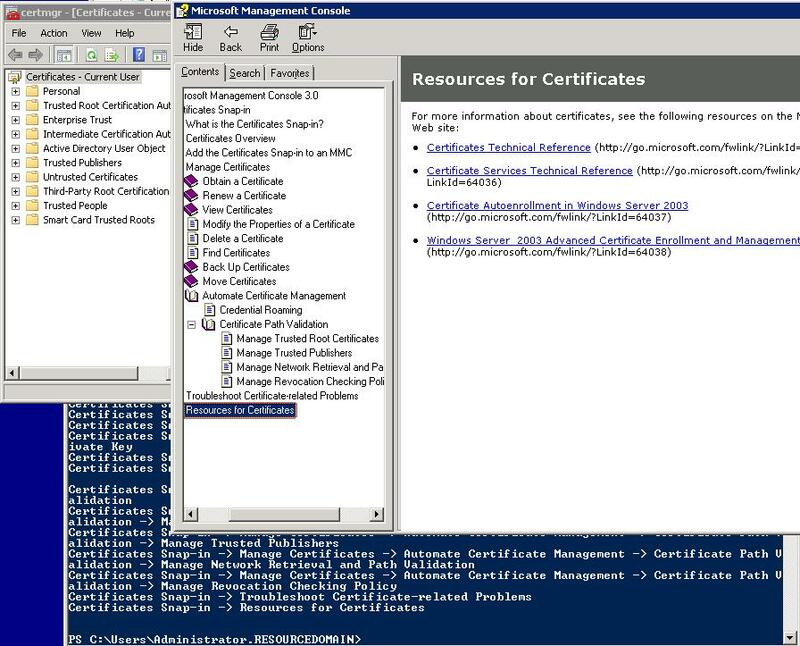 You should administrative rights or run PowerShell as administrator, if you are trying this sample. Usually, for regular applications, end user’s rights are enough. Today we’ll learn how to walk all the nodes in the help file. Task: create a script that is a universal tool for navigating inside help files. Requirements: the script should accept parameters as follows: file name of the application under test (AUT), the title of the AUT, the title of the help file.